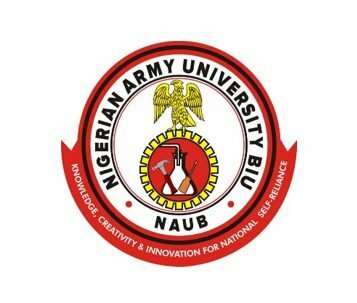 Nigerian Army University Biu, NAUB Provisional Lecture Time-Table for Remedial Classes, 2018/2019 Academic Session. 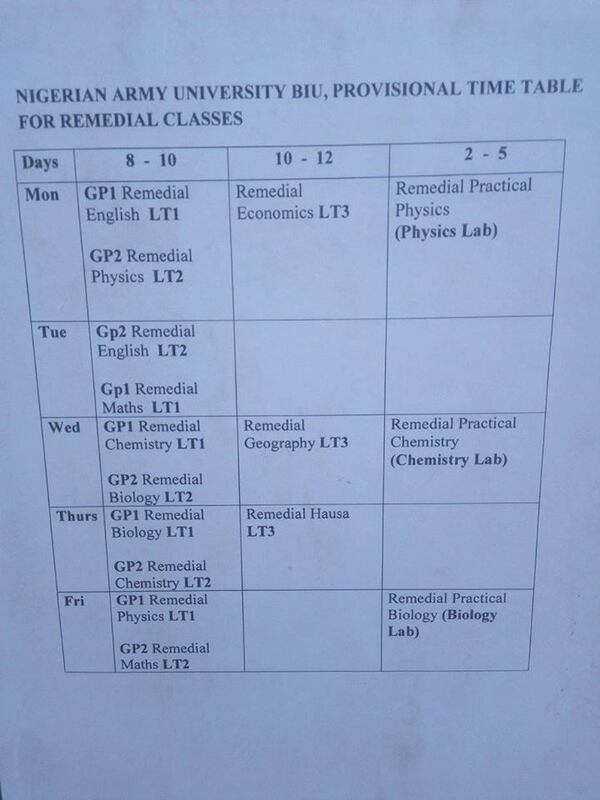 The Nigerian Army University Biu, NAUB has released the Provisional Lecture Time-Table for Remedial Classes, 2018/2019 Academic Session. 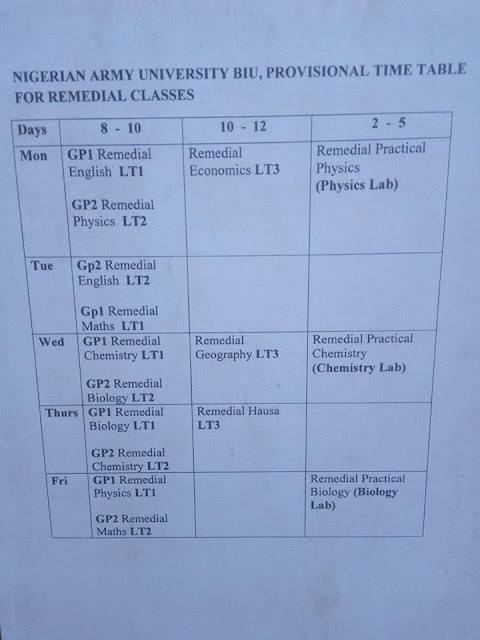 Nigerian Army University Biu Provisional Lecture Time-Table for Remedial Classes 2018/2019.